The Press Club of Long Island (PCLI) held its annual Media Awards Dinner on Thursday, June 7 at the Woodbury Country Club. The formal gathering attracted more than 250 representatives across Long Island, and the award finalists came from organizations ranging from Newsday and News12 Long Island to novice reporters from Patchogue-Medford High School. The night commended the art of news reporting and the relationship between the individual and his pen – or in modern society, his computer. The Pioneer had a successful night, winning four awards in three different categories. Jada Butler, news editor and co-managing editor, who couldn’t attend the ceremony, won second place for the “Student Journalism: College Newspaper Reporter” category. Butler contributed her success to those who shared their truths with her and allowed her to share their stories. 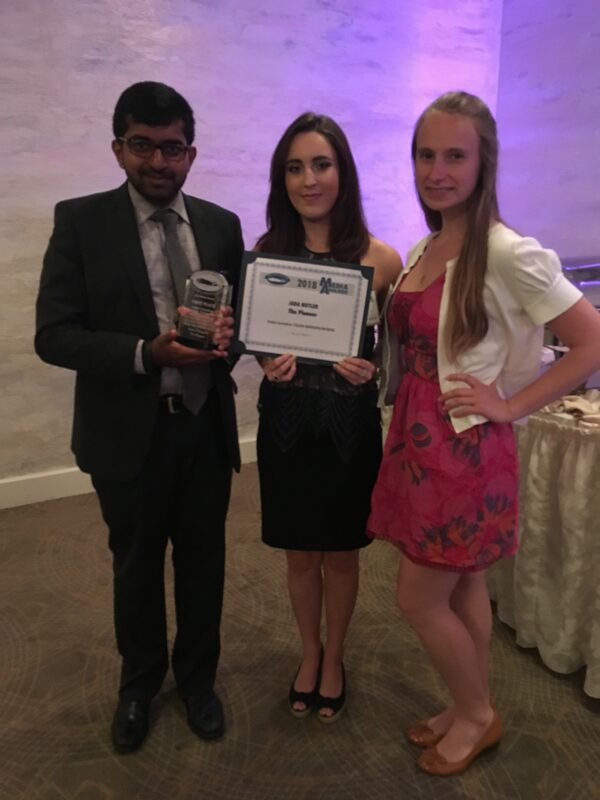 L-R: Anand Venigalla, Caroline Ryan, and Alecia Sexton were in attendance for the 2018 Media Awards. Bowden, who also could not make the ceremony, said she is extremely proud of The Pioneer and its success. Along with individual staff members being honored, The Pioneer newspaper and staff won second place for “Best College Newspaper” on Long Island. Competing against institutions like Stony Brook, Adelphi and Hofstra, this award solidified The Pioneer as being a paper of integrity and versatility while delivering accurate and reliable news. The award was accepted by Caroline Ryan, recent Post graduate and editor-in-chief of The Pioneer. Bowden and Butler will be co-editor-in-chiefs of The Pioneer in the fall, and Venigalla will assume the position of features editor. 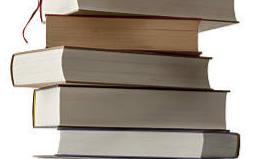 Aronson spoke about the lessons he learned about life, love and of course, writing. He also gave tribute to his wife, Irene Virag, who had worked under him at Newsday. His last words touched many guests, and are relatable to anyone who has had the pleasure of writing from the heart.